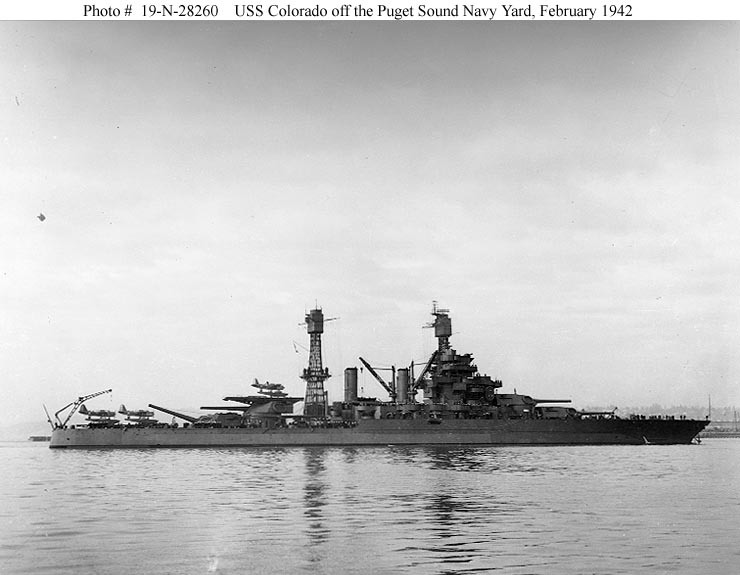 The Colorado class battleships (or Maryland class, for those who prefer to name ship classes after the first unit to be completed) were up-gunned versions of the preceding Tennessee class, sharing their general design and appearance, but replacing the earlier ships' twelve 14"/50 guns with eight 16"/45s. Built with Fiscal Year 1917 appropriations and delayed by higher priorities during World War I, two of the Colorados were the last new U.S. battleships to enter service for nearly two decades. The fourth of the class, Washington, was the only new U.S. ship cancelled under the Naval Limitations Treaty that had actually been launched. Their 32,600-ton standard displacement was slightly heavier than that of the Tennessee class, and the power and accuracy of their sixteen-inch guns represented a notable improvement. The multi-layered anti-torpedo side protection system, armor, turbo-electric drive, and improved fire controls of the Tennessees were repeated in the Colorados, which were typical U.S. battleships of the day: robust, heavily-armed and armored but relatively slow. 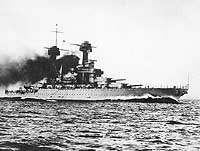 During the Twenties and Thirties, the five ships of these two classes were popularly known as the Battle Fleet's "Big Five". During the early 1930s, it was intended to modernize the "Big Five", but the only work actually done produced a modest increase in anti-aircraft guns and the associated fire control systems. 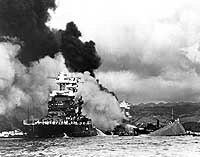 Two of the Colorado class, Maryland and West Virginia were at Pearl Harbor when the Japanese attack there started the Pacific War. The latter was sunk, her side protection system overwhelmed by a mass of Japanese torpedoes. Colorado was then completing an overhaul that added additional depth to the side protection, increasing her beam to 108 feet, and Maryland soon received similar improvements. Both ships were further altered later in 1942, with their "cage" mainmasts cut down and anti-aircraft guns increased in numbers. Later, they received new after superstructures to carry better gun directors. 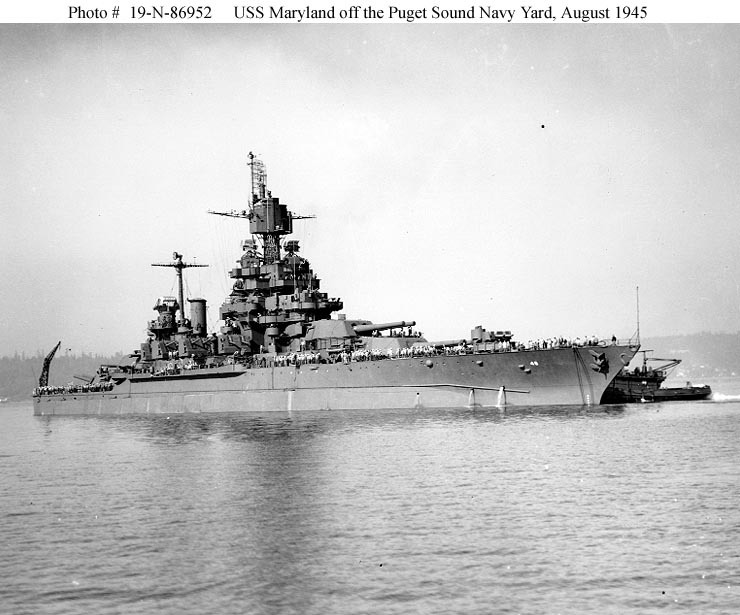 Following Kamikaze damage in late 1944, Maryland was fitted with a sixteen-gun 5"/38 dual-purpose secondary battery, replacing the previous mixed lot of low-angle 5"/51s and high-angle 5"/25s. Colorado finished her days with the mixed second battery. 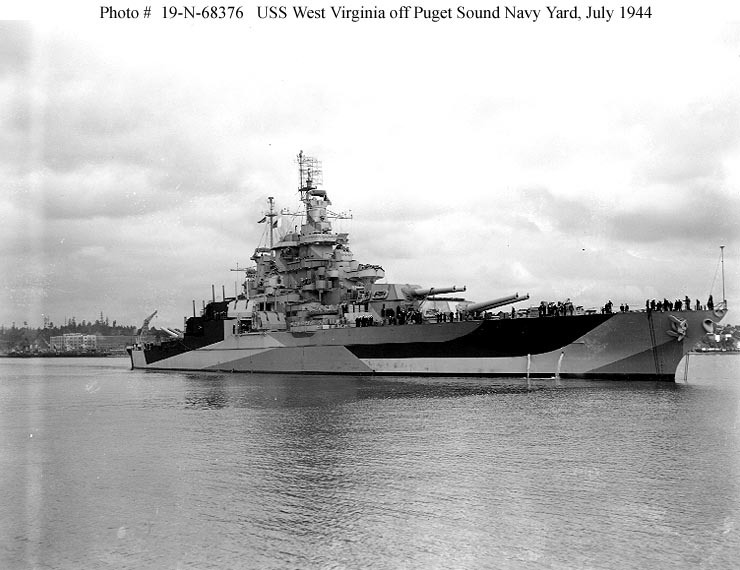 The massively damaged West Virginia was salvaged in 1942 and 1943, and received the same extensive modernization applied to the two Tennessees: hull widened to 114 feet, greatly improved fire controls and anti-aircraft batteries, a secondary battery of sixteen 5"/38 guns in twin mounts, and a generally "modern" appearance. These ships saw the usual wartime employment of older battleships, serving as a "fleet in being" in 1942-43 and thereafter providing big-gun bombardment in support of amphibious operations. 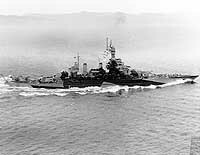 Maryland and West Virginia were present for the last fight between opposing battleships, the Battle of Surigao Strait on 25 October 1944. Laid up after the War, the three Colorado class ships were part of the Reserve Fleet until 1959, when they were sold for scrapping. Colorado (BB-45), built at Camden, New Jersey. Keel laid in May 1919; launched in March 1921; completed in August 1923. 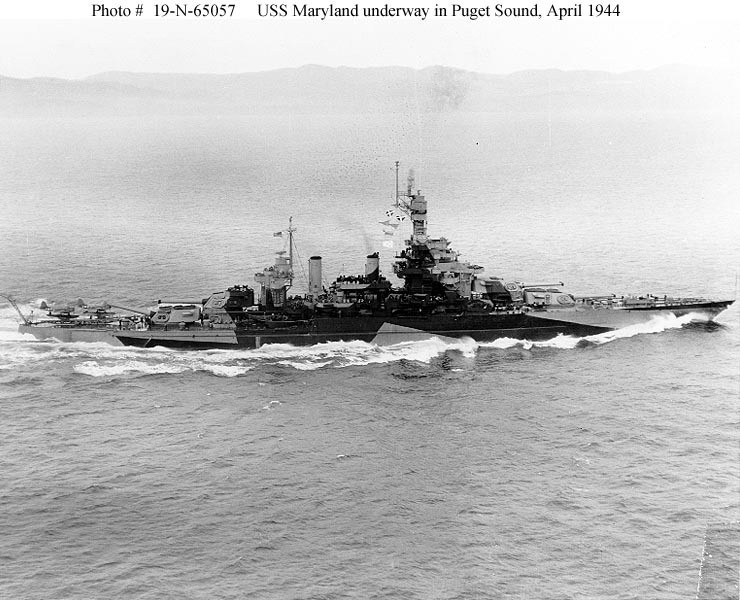 Maryland (BB-46), built at Newport News, Virginia. Keel laid in April 1917; launched in March 1920; completed in July 1921. 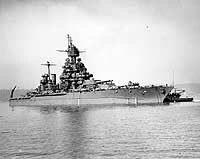 Washington (BB-47), built at Camden, New Jersey. Keel laid in June 1919; launched in September 1921. Construction cancelled in 1922 under the terms of the Naval Limitations Treaty. Ship sunk as a target on 25 November 1924. 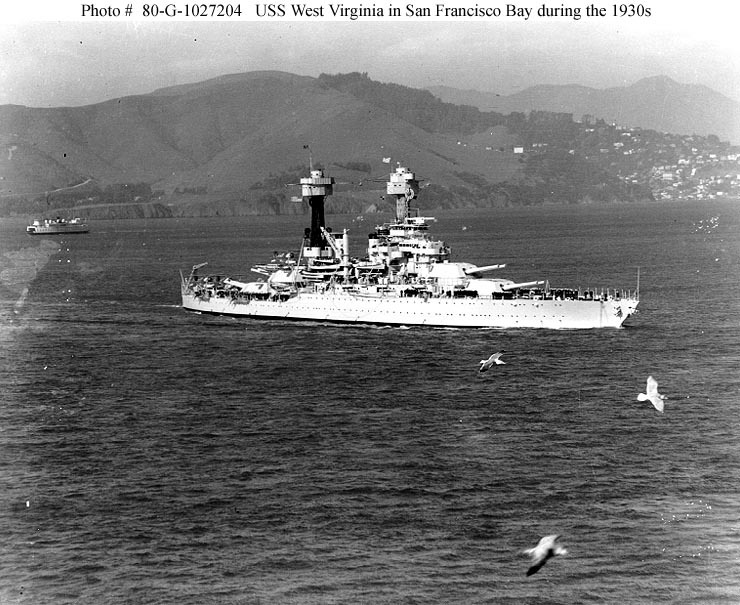 West Virginia (BB-48), built at Newport News, Virginia. Keel laid in April 1920; launched in November 1921; completed in December 1923. Armament (Secondary Battery-as built): Twelve or fourteen 5"/51 guns in single casemate mountings (six or seven guns on each side of the ship). Later in the 1920s, eight 5"/25 anti-aircraft guns were added. 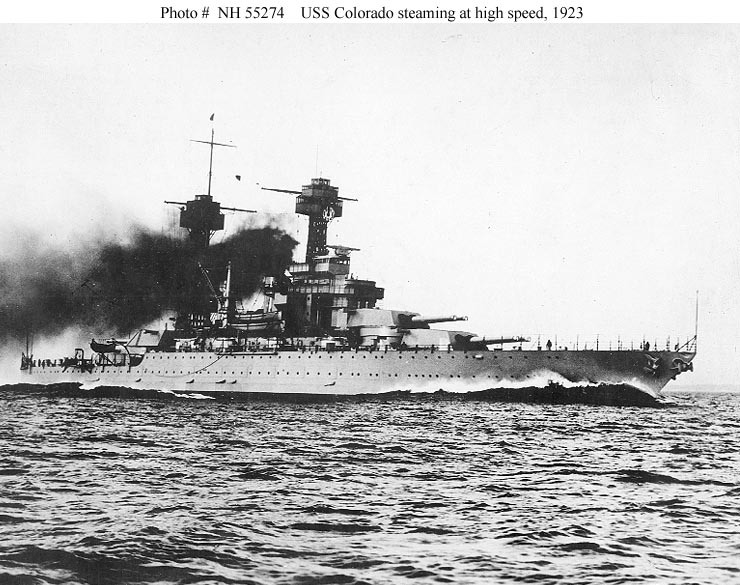 This page features a modest selection of photographs of Colorado class battleships, plus images related to these ships' basic design features, and provides links to more extensive pictorial coverage of the individual ships. For coverage of other classes of U.S. Navy battleships, see: Battleships -- Overview and Special Image Selection. Artwork by F. Muller, circa 1916, depicting a preliminary design for these ships, before the addition of heavier "cage" masts, enlarged superstructure and the elimination of secondary battery gun positions in the hull. Steaming at high speed in 1923, probably during her trials. 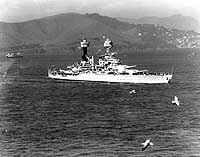 In San Francisco Bay, California, circa 1934. 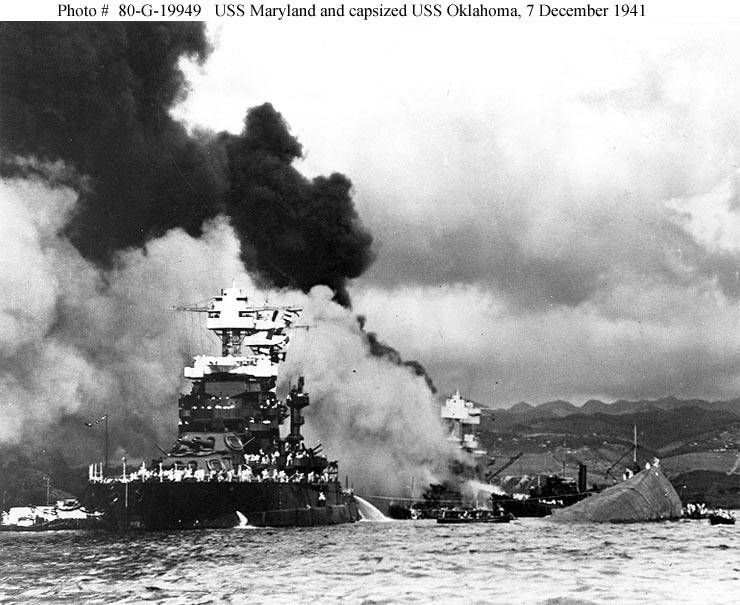 USS Maryland (BB-46) alongside the capsized USS Oklahoma (BB-37). USS West Virginia (BB-48) is burning in the background. Off the Puget Sound Navy Yard, Bremerton, Washington, 9 February 1942, with three Vought OS2U "Kingfisher" floatplanes on her catapults. Running post-overhaul speed trials in Puget Sound, Washington, 26 April 1944. 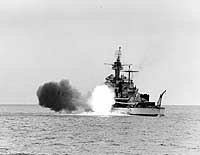 USS Colorado (BB-45) firing her after 16"/45 guns during the pre-invasion bombardment of Okinawa, 29 March 1945. Photographed from USS Minneapolis (CA-36). Off the Puget Sound Navy Yard, Washington, 2 July 1944, following reconstruction. Off the Puget Sound Navy Yard, Bremerton, Washington, on 5 August 1945, after her final wartime overhaul.